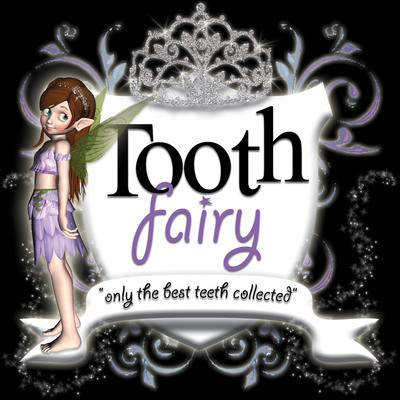 When a child loses his or her tooth, the Tooth Fairy gently flies in to take it back to her home and add it to her sparkling collection... Capture your childs imagination with these wonderful letters, created individually to order and packed with detail. These lovely personalised letters are a great way of celebrating this important stage in a child's development - they make a wonderful surprise present, and will be a great keepsake to treasure into their adulthood! Bespoke letters written individually - not computer generated! The Tooth Fairy will help to share the important lesson about looking after your teeth every day, and will send some great little gifts as a reward to your little boy or girl. Whether your child has lost their first tooth, second tooth - or many! - this is a great surprise gift that will enchant and delight both boys and girls. The story behind the letter: The Tooth Fairy wrote to my own daughter, Amy, when she lost her first tooth. It's always a special and exciting moment when a child wakes up to find a coin slipped under their pillow, and this special surprise letter certainly added to the excitement for Amy! We still have her letter tucked safely into her 'Memory Box' and I know that she will treasure it - I look forward to her re-discovering the letter when she is an adult. It's a strangely emotional moment for a parent when your son or daughter loses their first tooth - not unlike the first day of school, or the first wobbly ride on a bike without stabilisers - and one of these letters will certainly add to the magic, no matter whether it's their first or last wobbly tooth! So I'm delighted that the Tooth Fairy now uses PhotoFairytales to send her special official letters to other children, who I'm sure will be just as delighted as Amy! "Absolutely amazing and so magical my son loved his letter thank you so much. I have a very happy little boy this morning..."
The whole package will be sent in a beautiful big gold envelope with a handwritten address, complete with a pinch of sparkles inside, labelled with a 'special delivery' Tooth Fairy sticker and posted by 1st Class delivery. Please Note: The gifts contained with the letter are suitable for children aged 3 and above. In the event that one of the gifts shown in the images is unavailable, it will be replaced with another item of the same value and of similar style. A Note about Delivery: Letters will be prepared and sent out within 2 working days of placing your order, and will be posted by 1st Class post. Royal Mail aim to deliver 1st class post the next working day, but it can take between 1-3 working days. If you require the letter to be sent via Next Day Delivery this is available to order and your letter will be prioritised and dispatched within 1-2 working days. I wanted to let you know that Joe was delighted with his parcel from the Tooth Fairy and I was impressed too, it was lovely! Thank you for making our little boys day and for helping him believe that Fairies do exist - at least for a couple more years. [My daughter] was thrilled with her letter from the tooth fairy. My husband left it by her fairy postbox in her room. When I came home from work I was dragged upstairs to see her treasures which have already been put in secret places. [My daughter] was beaming so thank you x.
Dante received his letter today and LOVED the special goodies enclosed! We loved it! We look forward to receiving the next letter for his little brother Eros. Thank you for offering such wonderful and magical memories to children and their families! I just wanted to say a huge "thank you" for the letter from the tooth fairy - it arrived this morning, and I couldn't wait for my daughter to come home and open it. She loved it, and was soooo excited! She wanted to brush her teeth straight away so that she could put a tick on her brushing chart! Thank you so much for including the extra little bits I requested in the letter too, your service is wonderful. My son received the tooth fairy letter yesterday and was very excited. Thanks again, I will recommend your letter to friends and family. Ready to Order? Important, please read: Please use this form to place your order, providing as much information as you can, and ensure that all details you give are correct. After you have submitted your order, you will be directed to the payment page. If you wish to order more than one letter, you will need to fill out the form for each order - simply click on the "Continue Shopping" button in the cart to return to this page and complete another order. No responsibility will be accepted, or refunds made, in the event that the information you have given was incorrect so please double check all the details you supply and your spelling! Orders cannot be processed unless you make payment, so please ensure you submit your payment details when you reach the relevant page.